KISS DANIEL FOLLOWS-UP MONSTER HIT "WOJU", WITH DJ COUBLON PRODUCED "LAYE"
G-Worldwide Entertainment recording artiste Kiss Daniel finally releases his follow-up single to his mega smash hit "Woju"titled "Laye". Kiss Daniel continues in the tradition of giving his fans "good Music". The build up for "Laye" has shown that the fans want to see more music from the young man who stormed the music industry by surprise in 2014. The wait is over! 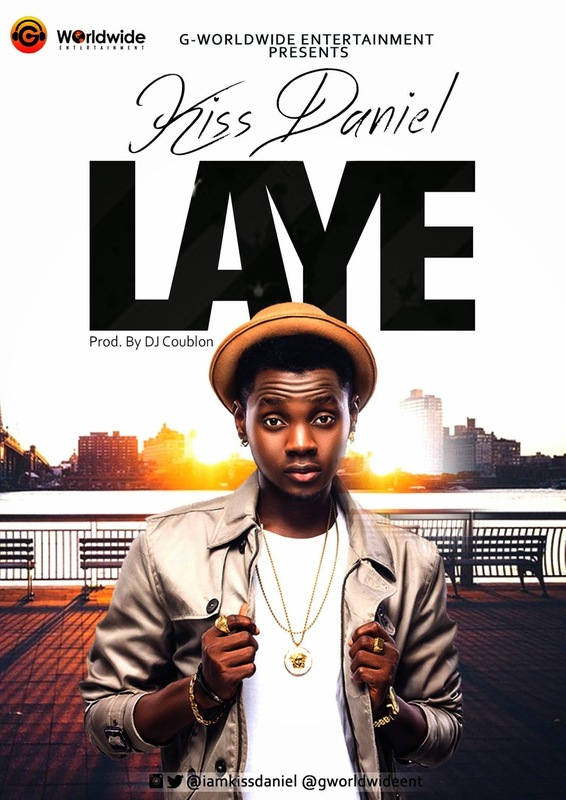 "Laye" is produced by DJ Coublon who also produced "Woju". The two have struck a good working relationship that seems to bring out the best in both of them. "Laye", like "Woju", will showcase why many have said this kid is "Next to Put Africa on the Map".